Home > Blog > The Three Valleys: World-class skiing! In less than a 2-hour drive from Lyon airport you can reach the famous Three Valleys ski area right in the heart of the Northern French Alps. This is the largest and one of the most popular ski areas in the world and its understandable as it can certainly boast some impressive statistics! Les Trois Vallées has 600 kilometers of slopes, all linked by ski lifts, is 4 times the size of Paris with a surface area of 1400 km2, has 80% of its ski slopes above 1800 meters of altitude with the highest ski slopes reaching 3200 meters above sea level, is a 100% ski-in, ski-out area and has some of the best snow conditions in Europe. The Three Valleys is also home to some of the most exclusive ski resorts in France such as Meribel and Courchevel along with some lesser-known hidden gems such as Les Menuires and La Tania, each with its own individual character! 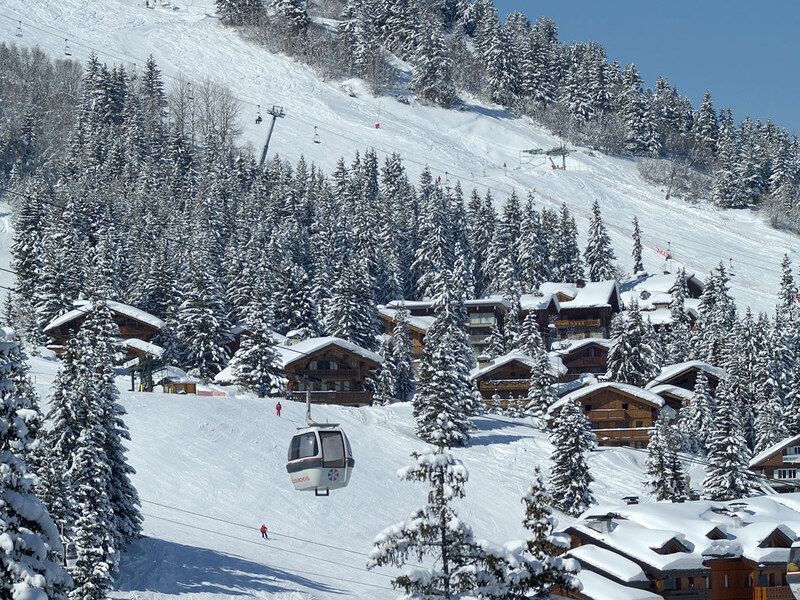 When we think of the Three Valleys, Courchevel is one of the first names that springs to mind. This French ski resort is well-known for its luxury chalets and hotels, designer boutiques and stylish apres-ski. 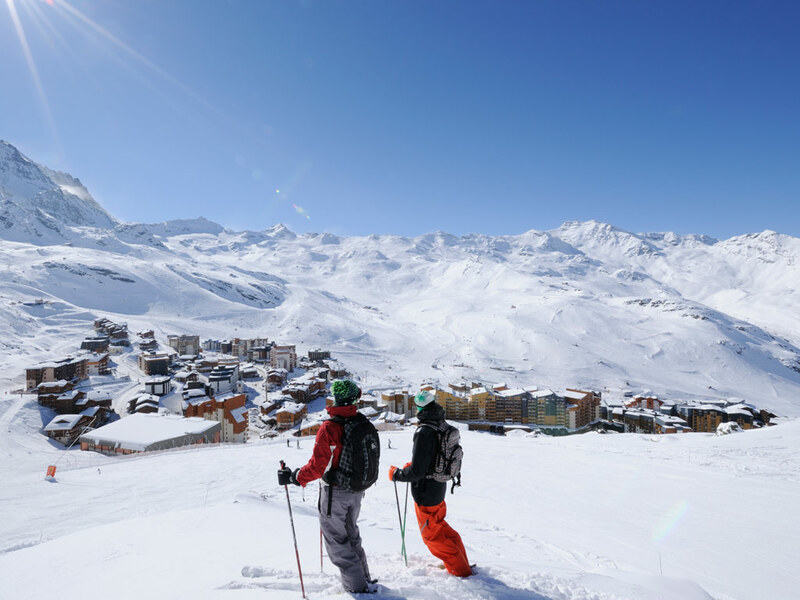 Val Thorens, the highest ski resort in Europe and Meribel with its elegant architecture and lively atmosphere are 2 other highly-rated Three Valley ski resorts. La Tania is a charming little ski resort with a pedestrian centre, Brides Les Bains, the beautiful spa town with easy access to the Three Valley slopes, Orelle, the little hidden gem at the end of the valley with its high-speed cable car taking you in minutes to 2300 meters of altitude, family-friendly Les Menuires, and the authentic ski resort of St Martin de Belleville. Every skier and snowboarder, regardless of their tastes and/or level will find their ideal ski resort in Les Trois Vallées. Covering such an immense area and with such a wide choice of ski resorts, the Three Valleys really can claim to have something for everyone. From facilities for children in the former Olympic village of La Tania, including the Indian camp with its tipis and the special Grangettes tobogganing area, open until 7.30pm every evening to the Rock On Snowboard Tour and unforgettable après-ski that gets under way from midday onwards in venues such as La Folie Douce in both Meribel and Courchevel, the Three Valleys is one of the most versatile ski areas in the world.